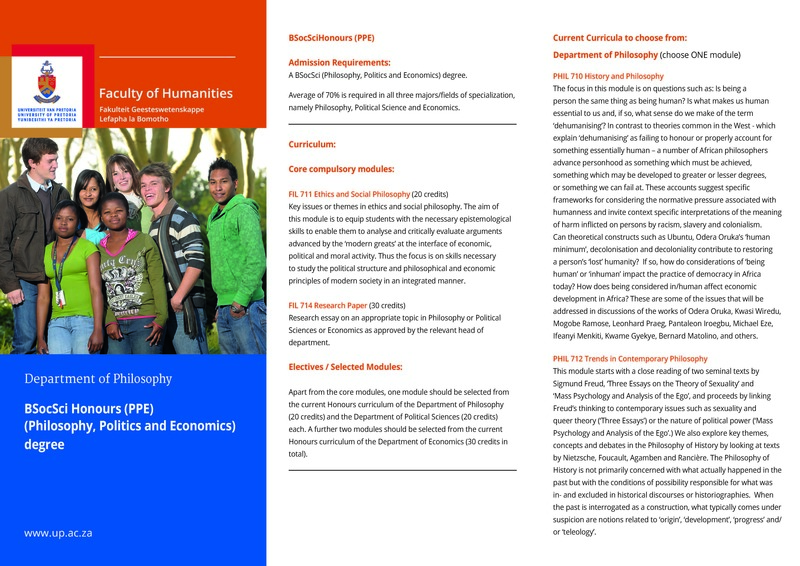 A large number of interesting and timely undergraduate modules are presented by the Department. 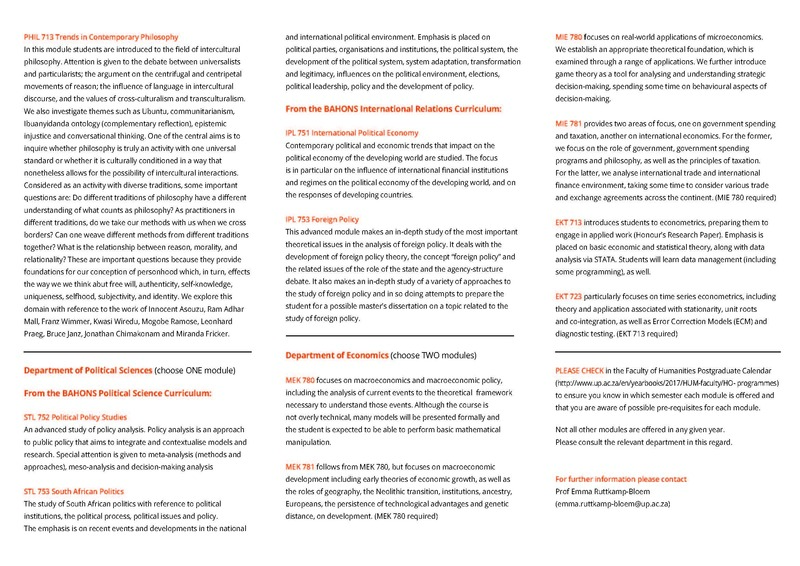 These can be a challenging addition to any graduate programme, or they can be taken in order to complete a major within various baccalaureate degrees offered by the Faculty of Humanities. 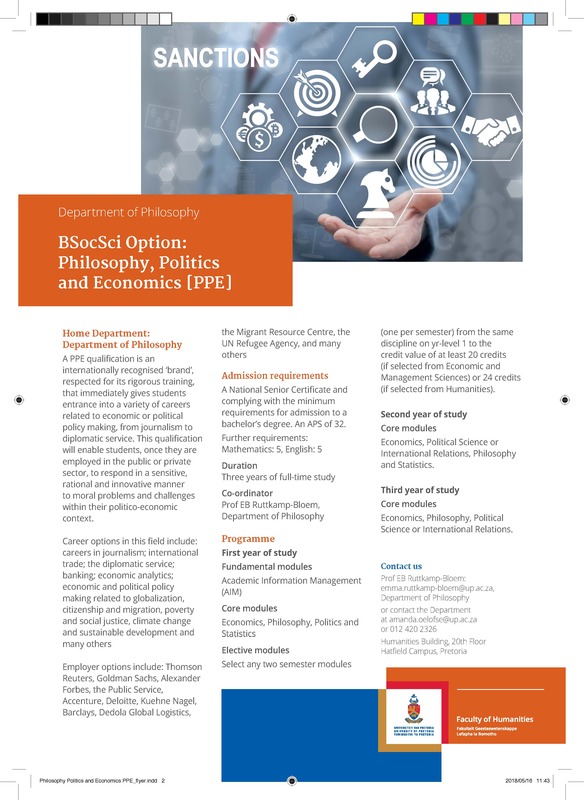 The Department of Philosophy is the host department for the BSocSci: Philosophy, Politics and Economics (PPE) program. For more information on this program click here and here. 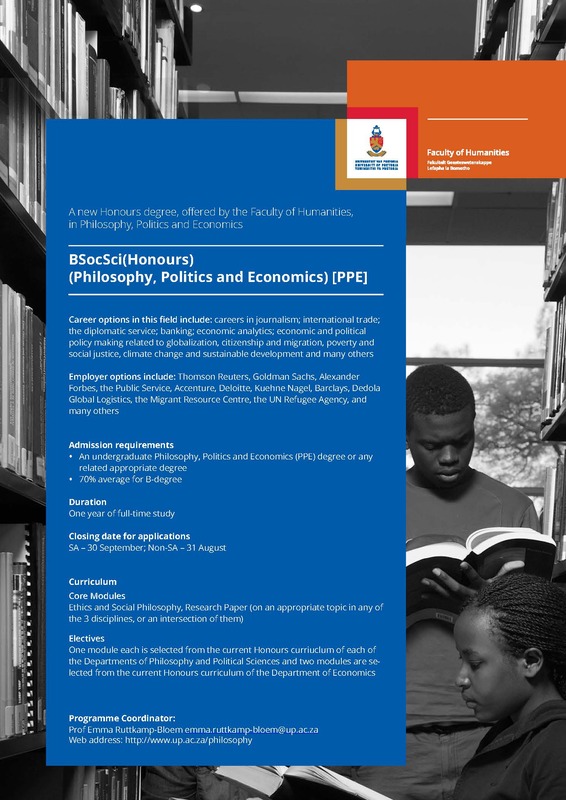 For the PPE Honours program, click here, here and here. 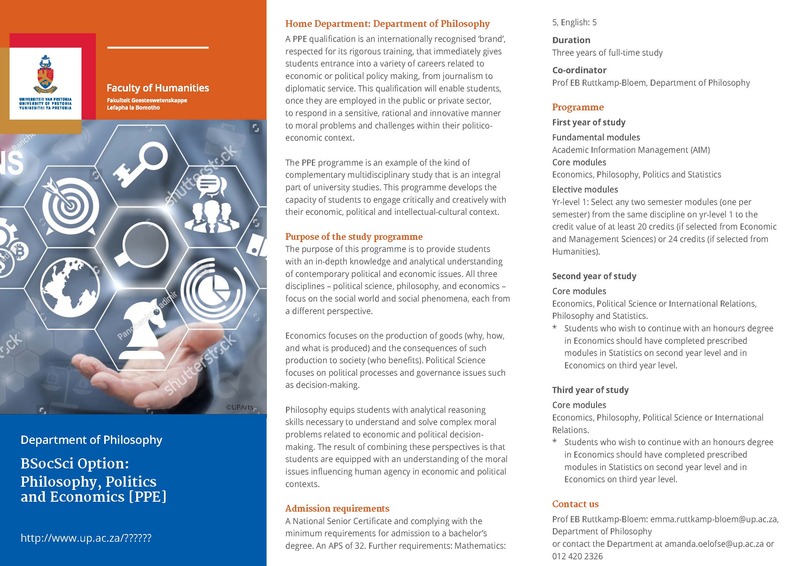 Our postgraduate offering includes a one-year BA (Hons) Philosophy, an (MA) Philosophy and a DPhil (Philosophy).